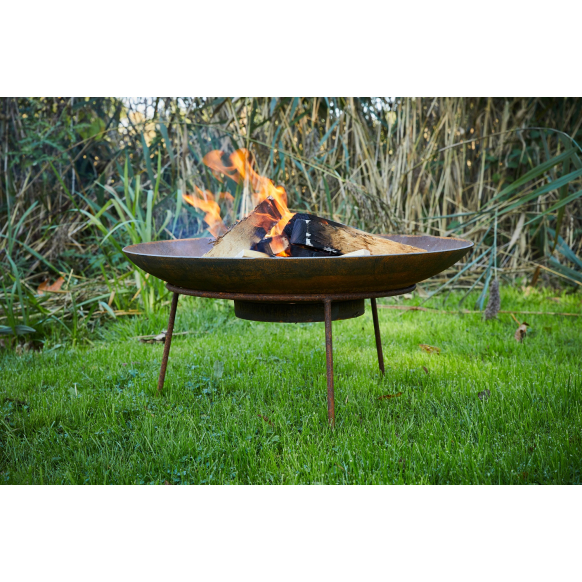 Our New Corten Steel Curved Fire Bowl is the perfect low maintenance garden feature. Available in sizes from 60-120cm it is suitable for any sized space or budget! 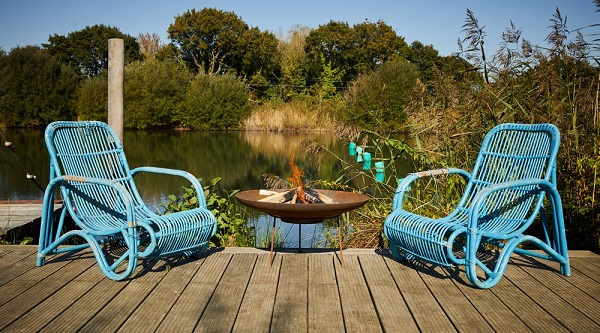 Starting out as a blue steel, as soon as Corten Steel is exposed to the elements it will naturally weather and develop a rich eye-catching finish. This natural fixed coating of rust provides protection against further corrosion. 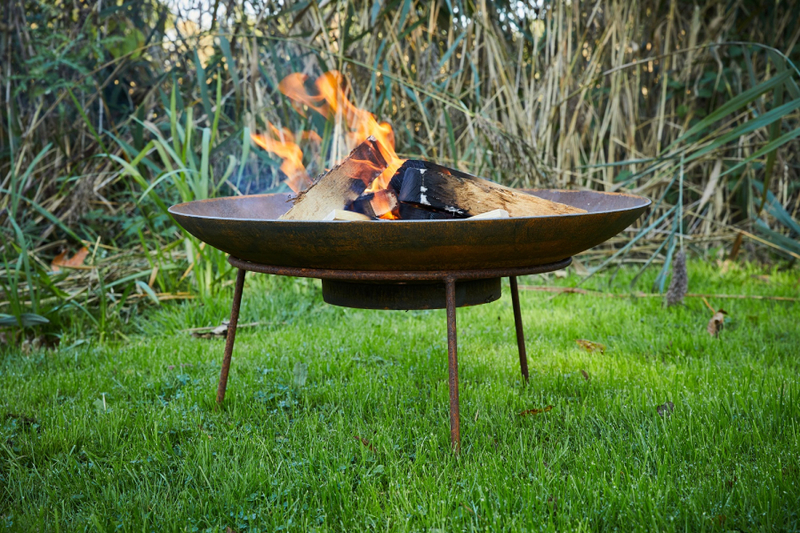 During the weathering process the Corten Steel produces carbon run off which can stain adjacent materials such as stone or concrete.To reduce this possible staining, all products have small feet, lifting the bowl and preventing direct contact with the flooring material. (Check out our Iron Stands - the perfect way to lilft your burner off the floor!) After the initial reactive period Corten Steel will cure and self-seal with little to no carbon run off. Please Note: This product can be at any point throughout the weathering process when received. Contact us if you have a particular requirement. 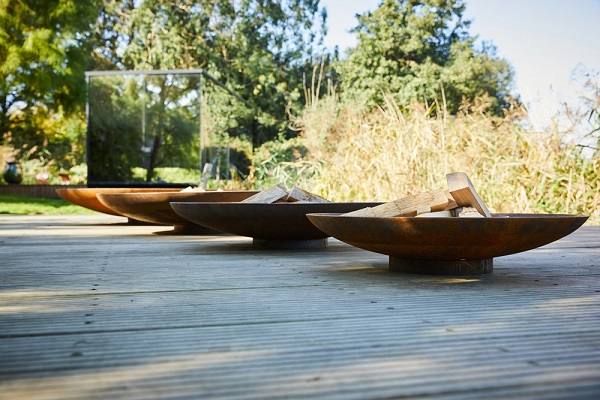 Why not check out our Corten Steel Water Bowls?